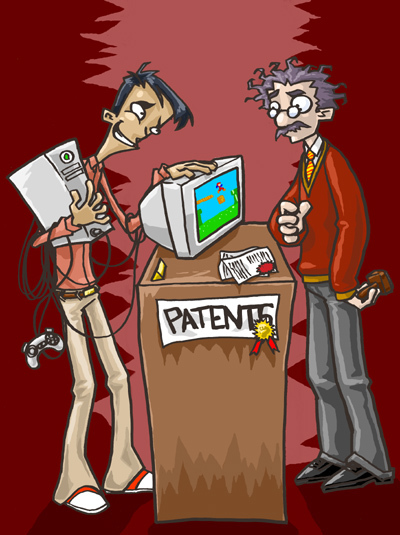 There are endless patents that could be applied to video games if you squint your eyes and look through frosted glass, so we try to separate the wheat from the chaff for you and identify patents that are directed to game play methods and interesting aspects of video games. Examples of things we will NOT comment on include graphics rendering techniques, audio/video compression, hardware (most of the time), and other behind-the-scenes aspects of video games. If you know of a patent we should include, please let us know.